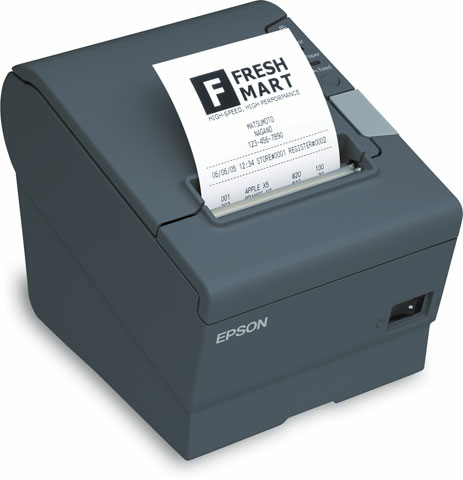 The Epson TM-T88V is the industry's leading POS thermal printer. It is fast, reliable, mPOS-friendly, easy to configure and supports all the leading mobile operating systems including iOS, Android and Windows. It features fast printing up to 300mm/second, best-in-class reliability, multiple ease-of-use features, dual interfaces and print options that reduce paper usage up to 30%.